Lucifans, rejoice! 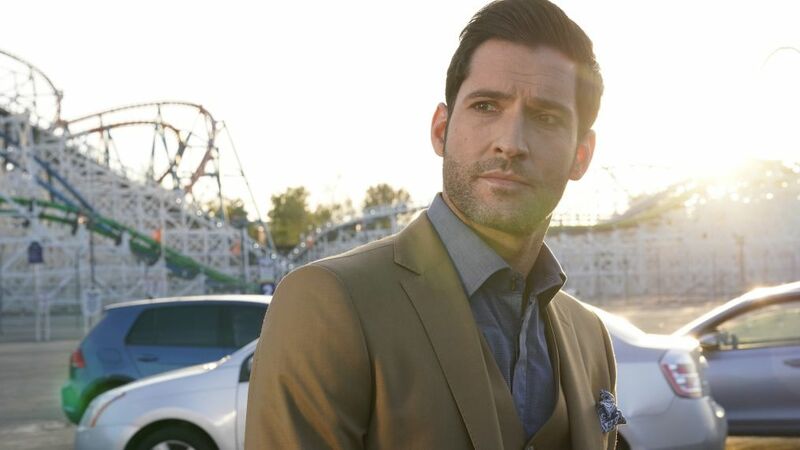 Here's some news the devil will care about — Netflix announced the Lucifer Season 4 premiere date on Wednesday with a seductive teaser featuring Lucifer Morningstar (Tom Ellis) himself. The 10 new episodes will drop on May 8, as the teaser reveals after the proclamation that "he is risen." The video shows Lucifer in all his glory, emerging from a pool, picking up his drink, and smirking for the camera. Oh, and you won't want to miss it as he shows off the "666" tattoo on his hip. At the end of Season 3, Detective Chloe Decker (Lauren German) finally saw Lucifer's devil face, proof that he wasn't lying all those times he told her the truth about his identity. Season 4 will see the aftermath of that big moment, but Lucifer also has a new challenge to face — someone from his past. Eve (Inbar Lavi), "the original sinner herself," has returned, but what does she want? Is she after revenge for Lucifer tempting her out of Eden years and years ago, or does she have something else in mind? Production has wrapped and new episodes should be dropping soon! The latter is likely, given that according to the character description, Eve has "grown restless in her marriage" to Adam and "misses her hot and heavy first love" Lucifer. Netflix also released key art for the fourth season showing Lucifer and the tag line, "He is risen." Previously, Aimee Garcia, who plays Ella Lopez, teased fans that she saw a sneak peek of the new season and speculated that the episodes would be available in "April or May." Along with Ellis, German, Garcia, and Lavi, the series stars Kevin Alejandro as Detective Dan Espinoza, D.B. Woodside as Amenadiel, Lesley-Ann Brandt as Maze, and Rachael Harris as Dr. Linda Martin. The first three seasons of Lucifer aired on Fox until it was canceled, but fans campaigned for it to be saved and Netflix stepped in. Sound off on what you're hoping to see in the fourth season in the comments below.